Business in equipment service and maintenance, property management, construction or other field operations often require access to current information on the equipment, property, asset or product. Our inventory management and data collection software products use QR codes and mobile technology to provide up to the minute information to employees or clients. Authorized users can access and collect information, including images and signatures, by scanning QR code tag or labels with a smartphone. 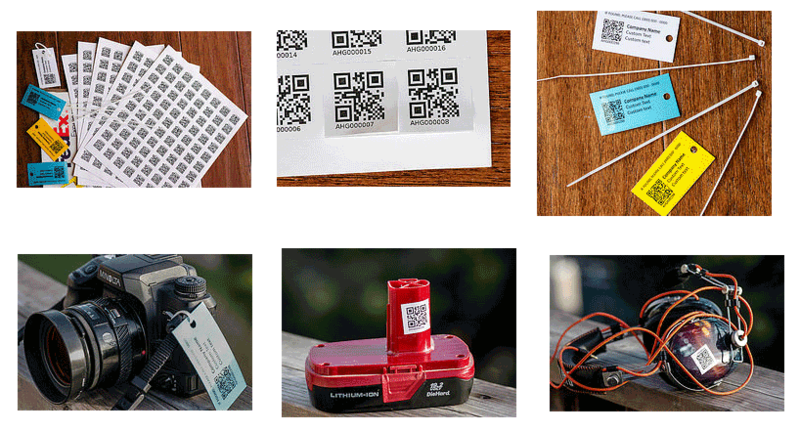 You do not need to reprint QR code label or tag to update information that users see or collect. Administrator can change information via secure web inteface at any time. When working in the field, your employees need to know current current stock and location of the requires supplies, inventory and parts. In order to keep information on inventory stock current, all inventory restocking and use should be documented on the spot, in the field, when inventory transaction is taking place. QR Inventory software will allow you to do just that. Your employees can use their own mobile devices (iPhones, android smartphones, iPads or android tablets) to record inventory transactions in the field by scanning QR code label with a smartphone. They can also look up current inventory, locations and details of each asset or inventory item on a smartphone by scanning QR code label. 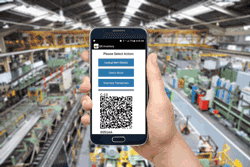 Generate, lay out and print QR code labels once using built-in QR code generation tool, and the scan of the QR code will always show current information - no need to re-print the labels. When servicing equipment, property or other assets technician needs to know the details of an asset (s)he is working with. Depending on the nature of an asset, accessible information may include technical specifications, emergency procedures, lock out / tag out procedures, technical drawings, floor plans, warranty expiration date, last service date and details, usage instructions and manuals, url to pdf documentation, etc. Using QR Mobile Data software your field technicians will be able to access all required information on the asset, equipment or property by scanning QR code on the asset with a smartphone. They will also be able to record maintenance or service, or fill out other relevant form (e.g. damage report, service request). Collected information is submitted to a centralized storage location and is immediately available to all other field technicians on the mobile devices, and to office employees on the computers. Asset information, as well as maintenance forms and other forms for the field data collection can be changed as needed by the administrator via the web dashboard. Accurate, up-to-date data and forms are always displayed when user scans QR code tag or label. Labs can allow their customers to access the result of an analysis by scanning QR code on the sample with a smartphone. The client needs to tag a sample with QR code, and enclose the same QR code with the sample shipped for analysis. Once lab receives a sample and perform required analysis, lab's employee enters sample data to the computer. At this point e-mail is sent to the client notifying him that results are ready. From this point on, client can access composition of a specific sample by scanning QR code on the sample tag with a smartphone. Fast delivery and no lost or misplaced data! Dynamic QR codes on food and products packaging can serve two purposes: provide information and handling instructions to employees, as well as engage customers. Let your customers access product information, story behind it, receipies or coupons by scanning QR code on the label. Print qr code once on the packaging, and change information that you want to display as needed via a web interface. Records visits to the infrastructure or property by scanning QR code labels with a smartphone. The date / time of the visit, an employee and GPS location of the scan is recorded automatically. Scan QR codes on the employee barges or cards to access employee information and record attendance. Review and export attendance reports via the web dashboard. Employees working in the field or at customer location can scan location / equipment QR code to record when they started / stopped working at this location. Review and export reports on the total hours by date range, employee, location or equipment, etc. Import to your accounting or payroll software.